Preparing vegetables will always demand some extra time and care. However, these days we’re all trying to get more vegetables into our daily lives. Knowing more general ways to cook them only works in our favor. The transformation from raw to cooked never ceases to inspire and once you learn the overall cooking processes, you can tackle any vegetable like a pro. Below is just a start of ways you can experiment with vegetables but hopefully this inspire more vegetable cooking in your kitchen. Blanching is a quick cooking process that involves submerging vegetables in boiling water for a short period of time. This process helps vegetables lose that extreme crispy bite that might be too much for some meals. 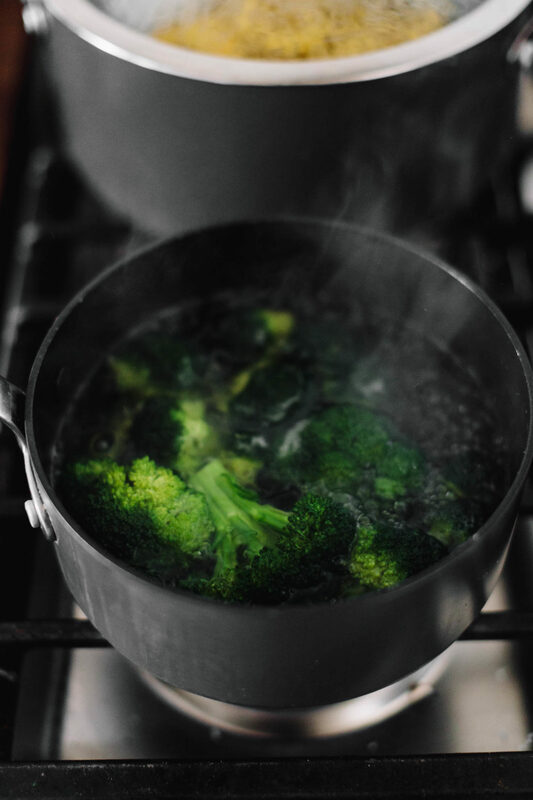 Blanching works great for items like asparagus, broccoli and cauliflower but can also be great for greens. To blanch, bring a pot of salted water to a boil with a bowl of ice water nearby. 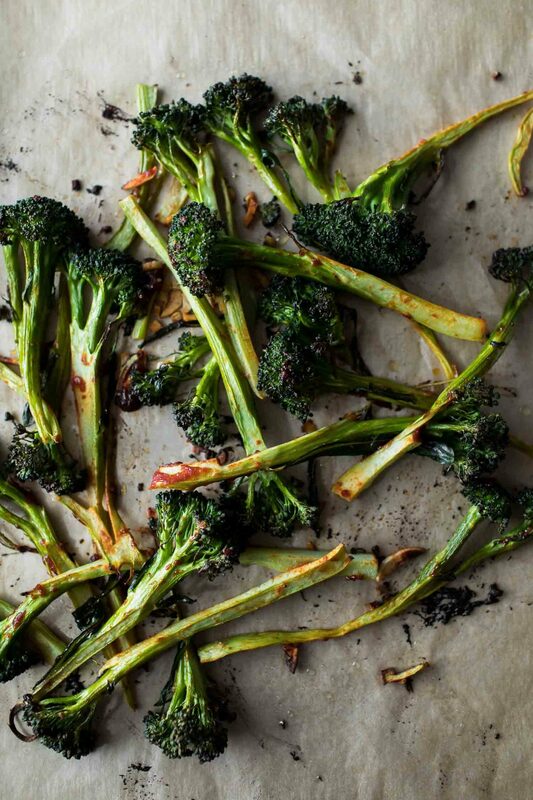 Drop in your prepped vegetables and let them cook for only a few minutes. The timing will depend on the heartiness of what you’re cooking. Spinach will take around 30 seconds while broccoli could be minutes. You want them to still be bright, colorful, and crisp but not crunchy. Strain the vegetables and transfer to the ice bath. 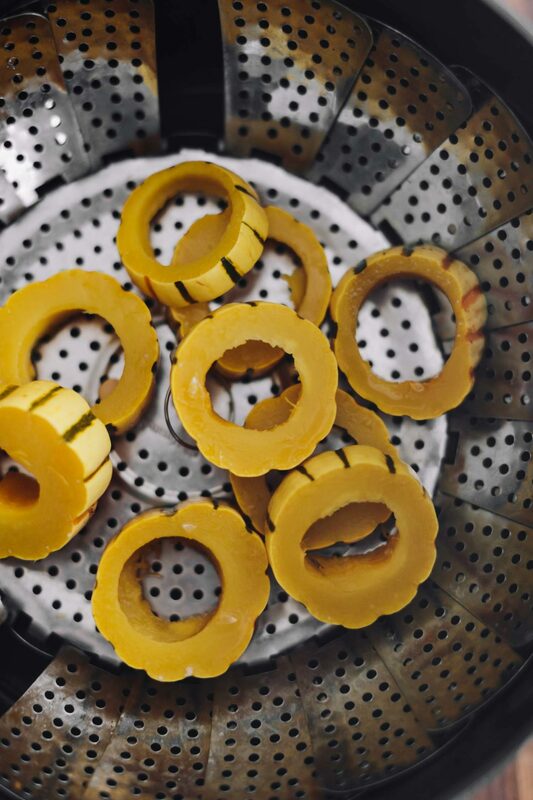 One of my favorite ways to cook harder vegetables like squash is by tossing them in oil and salt and popping them in a 425˚F oven. Let them roast under high heat for 30, 40, 50 minutes – I never really set a timer I just check them occasionally with a fork to test for softness and some good coloring. Roasting vegetables is a great way to lock in flavor and have a bit of char-flavor to the items. Roasted vegetables are perfect as a side but I love adding them to all kinds of meals including pizza toppings, tacos, pasta, and salads. I often times forget about this option when I am preparing vegetables. 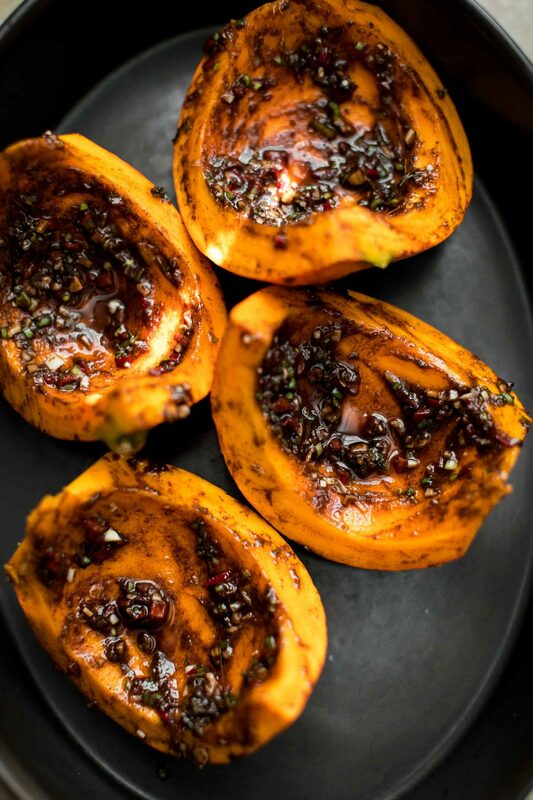 When I think about cooking a sweet potato or a hard winter squash, I sometimes get mentally cornered into thinking that turning on the oven is the only way to get the job done. Steaming takes a fraction of the time, and is easier to clean up because there is no greasy oil or crusty bit of veg stuck to the pan. I highly recommend picking up a steaming basket. This makes steaming a bit easier because you can lift the vegetables out at the end of steaming. For steaming, all the vegetables should be roughly the same size, to cook evenly. Place about 1” of water in the bottom of a pot. This water should not touch the steaming basket, though. Bring that water to a boil, add your vegetables, turn the heat to a simmer, cover, and cook until the vegetables are just-tender. The vegetables should be bright in color still (similar to blanching). Remove the steaming basket and run the vegetables until cold water to stop the cooking process then season as desired! Steamed vegetables do well when finished with fats like olive oil, homemade aioli, or other types of rich sauces. Steamed vegetables make for great side dishes. I also like to use steaming if I plan on pureeing something into a sauce or soup. You could also use as a filling for enchiladas, frittatas, or grain bowls. I used to be intimidated by the term sauté – I thought you were only doing it right if you managed to toss the food from your pan up into the air and back into the pan again with a graceful yet incredibly strong wrist action (luckily that’s not so). Sauté simply means to fry something quickly in a little hot fat. Cut your vegetables into evenly sized pieces, heat a pan with some oil or ghee, and toss in the vegetables. Coat them in the hot fat, and let the magic of fat and heat work wonders. Shoot for even coloring and frequent stirring until everything is tender and ideally caramelized or tastefully browned. Sautéed vegetables work well if you’re already making a meal on the stove-top. Tacos, grain bowls, and egg skillets are all great ways to use sautéed vegetables. This isn’t necessarily a ‘cooking method’ but the fermentation nerd side of me can’t overlook the ease and fun of quick pickling vegetables. There is no canning required, just some vinegar, salt, sugar, and spices if you wish. 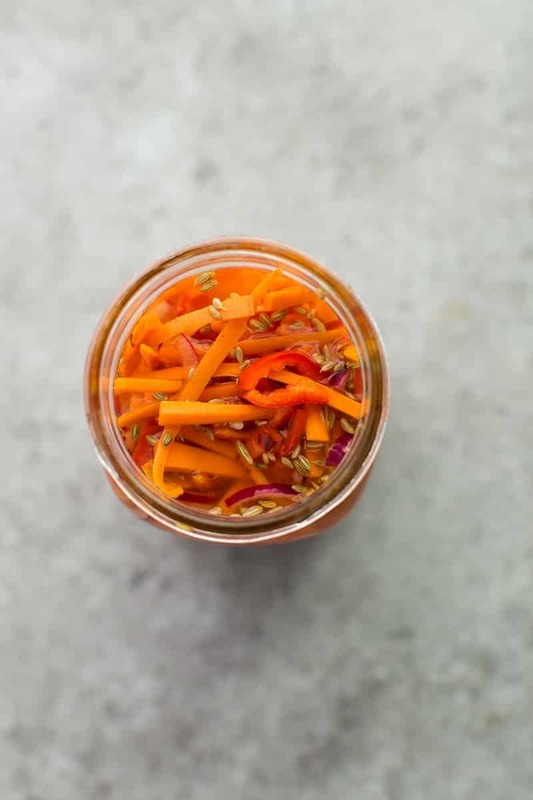 There are many different variations on pickling, which can be found along with instructions here. Quick pickles are great on sandwiches, as a topping for salads/grain bowls, or as a simple snack. Many different vegetables work well as quick pickles- just play around and find what you like! Good reminders that there’s more than one way to cook a vegetable. Steaming is my favorite as it maintains most of the veggies’ nutrients. I use a rice cooker with a steamer so I can steam the vegetables in the steamer while I cook rice in the pot. Steaming vegetables is also recommended by the Centers for Disease Control and Prevention.